Sportsgiving came early this year. 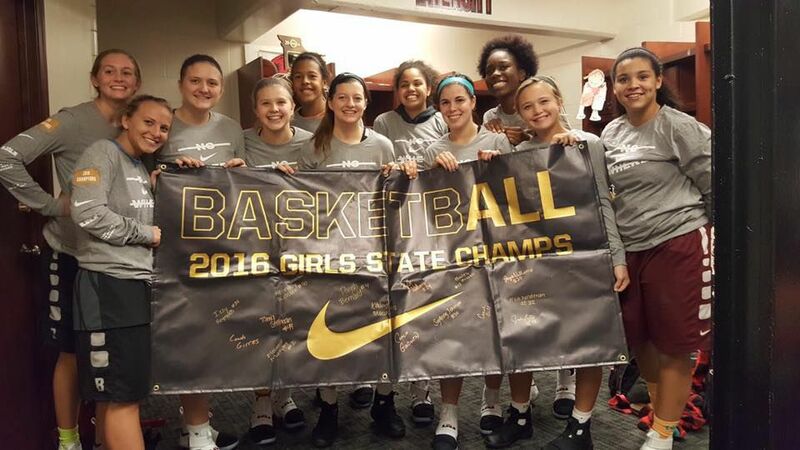 According to an Imgur/Reddit post by user gotsnowart, a high school girls’ basketball team in St. Joseph, Missouri received the surprise of a lifetime in the form of a very special delivery in the mail. 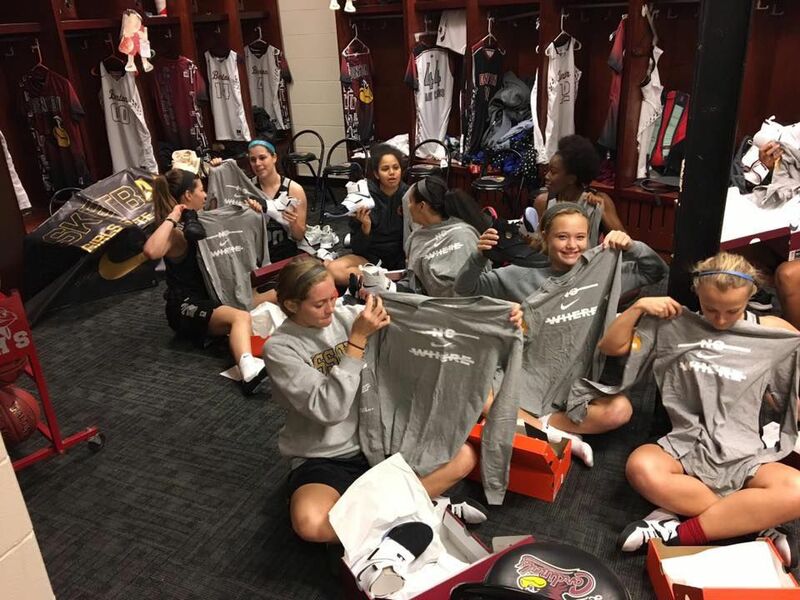 The Benton Cardinals were already riding a high, having secured the Missouri state championship title for 2016, but a surprise package by NBA legend LeBron James lifted their spirits to new, soaring levels. Nobody outworks a cardinal. You made that clear. But you can’t stop working. You can’t let up. Not even a little. You got that four-peat to complete. So stay humble, stay strong, and oh yeah — stay undefeated. It looks like the Cardinals weren’t the only high school team that the NBA superstar reached out to. A local news story from Spirit Lake, Idaho details a twin account of a similar surprise for its local high school team, the Timberlake Lady Tigers. 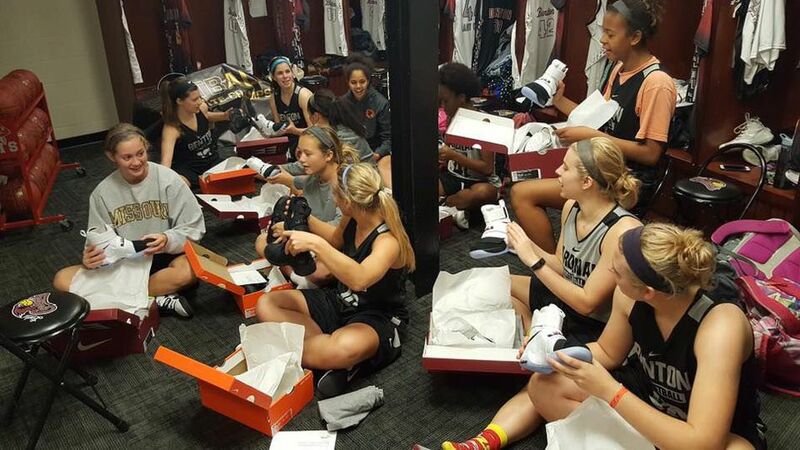 And in Virginia, two more girls’ teams received similar packages. The gifts appear to be in partnership with Nike; the brand is a lifetime sponsor of James. According to Major Wiggins, a dad of one of the players on the Princess Anne High School team in Virginia, the words of encouragement are hugely inspirational for the young ladies. “It’s really great for the girls to be recognized by arguably the best basketball player on the planet. I’m sure that this makes the girls feel like their hard work is paying off,” he told a reporter at Ultimate Recruit. Each note signed by James appears to be personalized to reflect the respective team’s unique success story. The gifts are bound to get these ladies pumped up for next season and inspire them to keep up the hard work. After all, King James is watching.